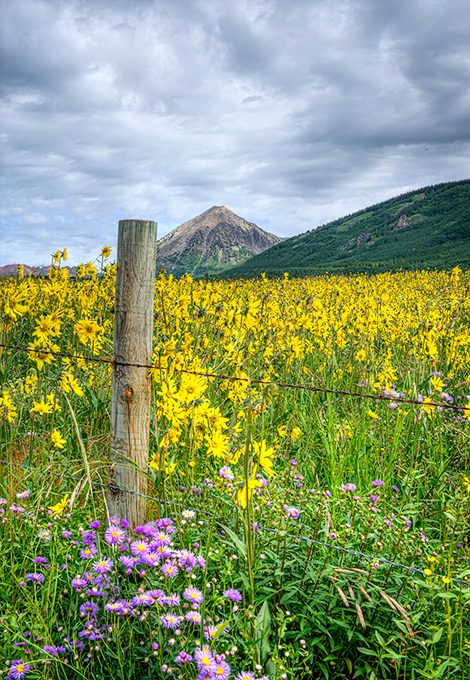 We have enjoyed the many delights of Crested Butte this month. 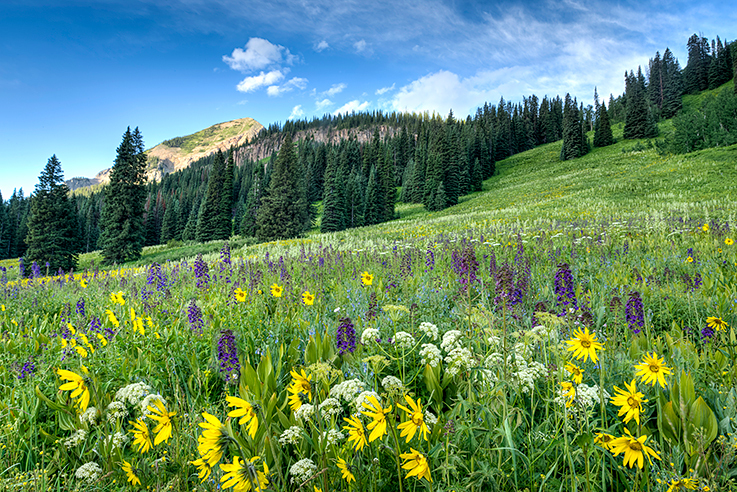 The high mountain landscapes carpeted in a wild variety of wildflowers is nectar for the soul. I will leave you with a few images that stick in my heart. This lovely field of aspen sunflowers was gorgeous under that amazing sky. The aspen’s always face the sun. 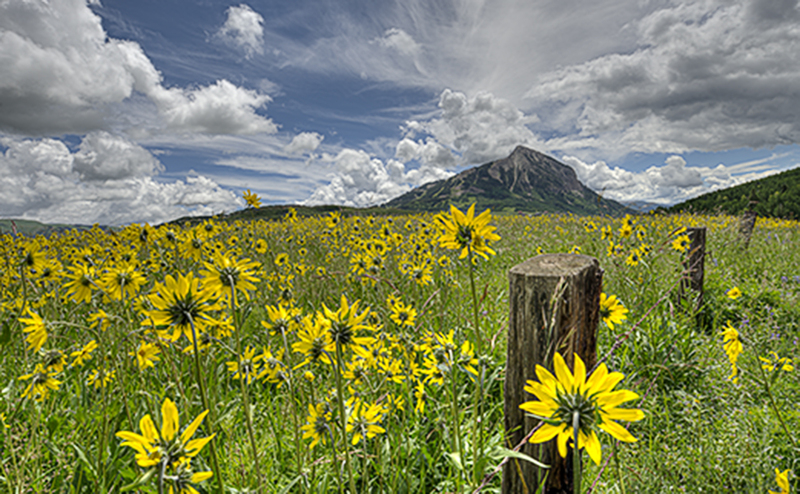 A scene along Washington Gulch with Mount Crested Butte in the background. A lovely spot for a picnic. 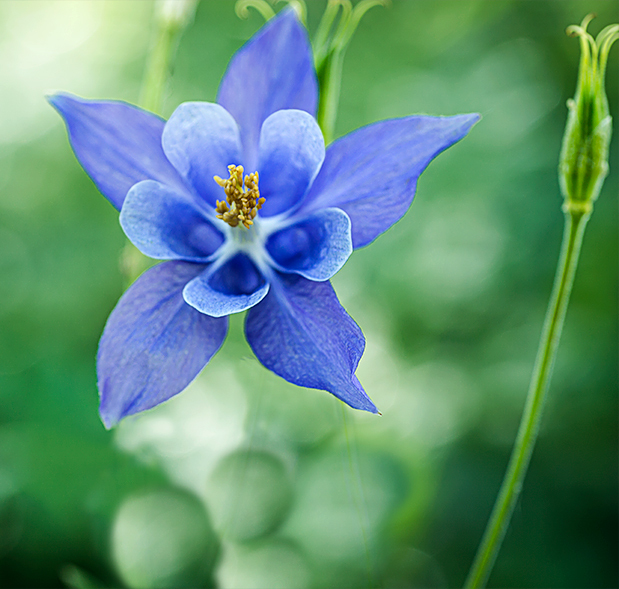 A rare treasure, deep blue columbine, found along the Wildflower Loop. 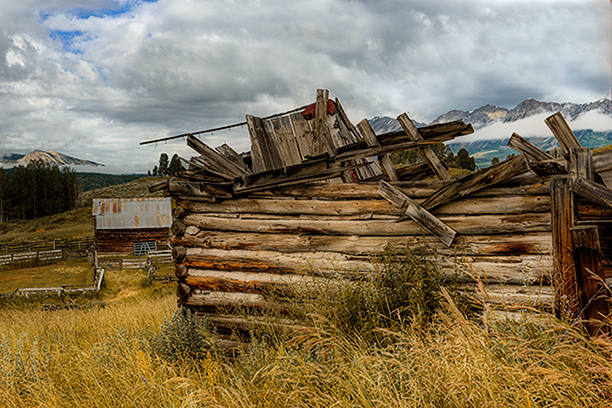 Along a fence line in Washington Gulch with Gothic Mountain in the background. Early morning light near Gothic Mountain with wildflowers as far as one can see. 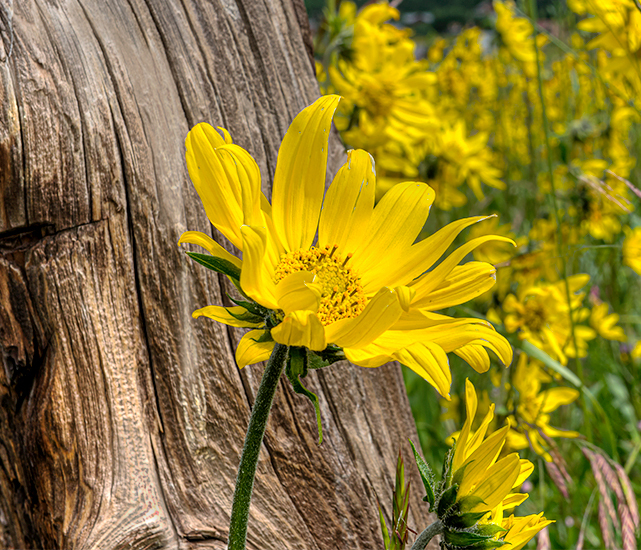 The last one on an old railroad tie in Washington Gulch.